Sheriff's deputies on Wednesday flocked to an incorporated Los Gatos neighborhood to investigate a robbery, according to the Santa Clara County Sheriff's Department. Anser Hassan reports. A man in his 50s was hurt early Wednesday after five suspects stormed his home in unincorporated Los Gatos, assaulted him and demanded he hand over valuables, according to the Santa Clara County Sheriff's Office. The assault and robbery occurred around 4 a.m. at a residence along the 19000 block of Bainter Avenue, according to sheriff's officials. Five suspects — four males and one female estimated to be in their late teens or early 20s — are believed to be connected to the robbery, officials said. The suspects had at least one handgun at the time of the crime. Sheriff's Office officials said Wednesday afternoon some of the suspects were arrested in Modesto and two firearms were recovered. The victim's stolen vehicle was also recovered in Modesto. 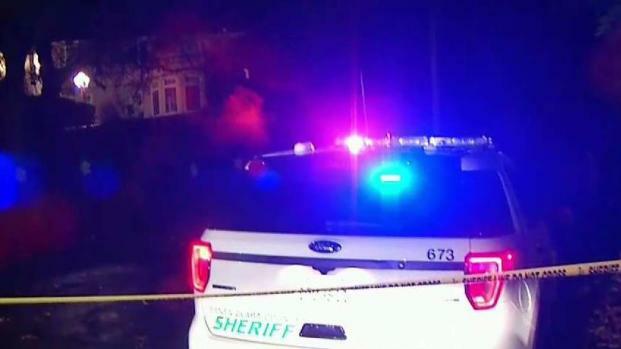 The victim, who was home alone at the time of the incident, was transported to the hospital and is listed in stable condition, sheriff's officials said. Anyone with information is asked to contact the Santa Clara County Sheriff's Office at 408-808-4500. Anonymous tips can be left at 408-808-4431.